The second container (FCL 93) to leave from our new depot in Dundee was loaded on Saturday 15th March. The weather was fine and a large team turned up to help load and to feed the volunteers. Thanks to all. On Wednesday 18th March FCL 91 was unloaded at Ekwendeni. Mr Regent Mataka Gondwe, Senior Administrative Officer at Ekwendeni Hospital, sent us photos of the unloading along with a note of thanks to all those who donated the goods and all those who gave their time and energy to load the container. FCL 91 was loaded at Strachur on 17th December 2013, so it has taken almost exactly 3 months to reach its destination. 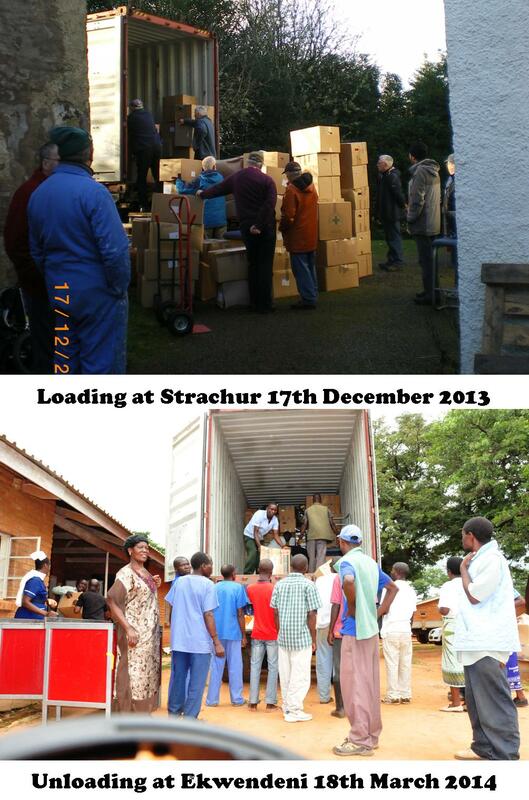 We pray that the contents of the container will be used wisely and will bring joy to the people of Malawi. During their recent visit to Malawi, Dunoon dentists Nigel and Vicky Milne discovered that there was a severe shortage of dental anaesthetic in the area. 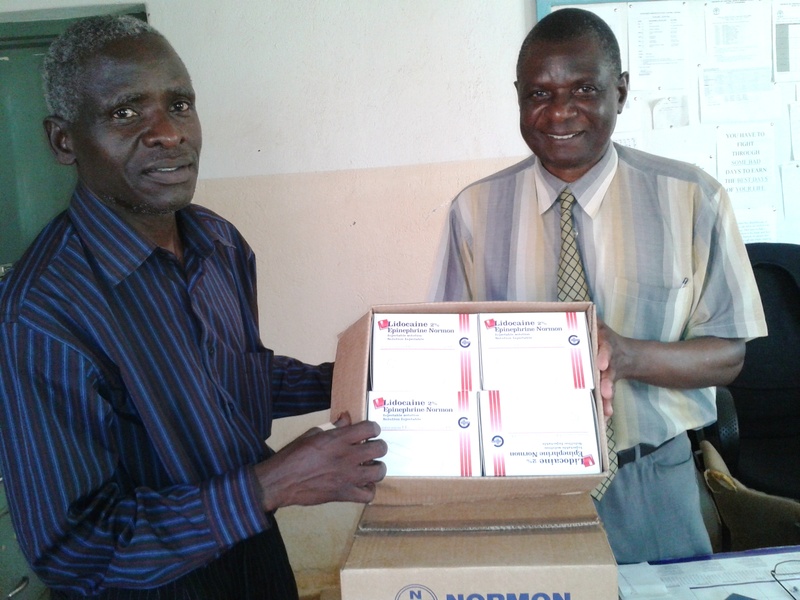 On their arrival back in Scotland they set about organising a supply to be sent to Ekwendeni and we have just received a message from Jeffrey Mwala, the Principal Hospital Administrator at Ekwendeni Mission Hospital, to say that a supply has arrived and will be shared between various facilities in the Ekwendeni and Mzuzu area. Dentists and patients alike are very grateful for the gift of the anaesthetic. The new team at Dundee will load their second container on 15th March and are hoping for another fine day. 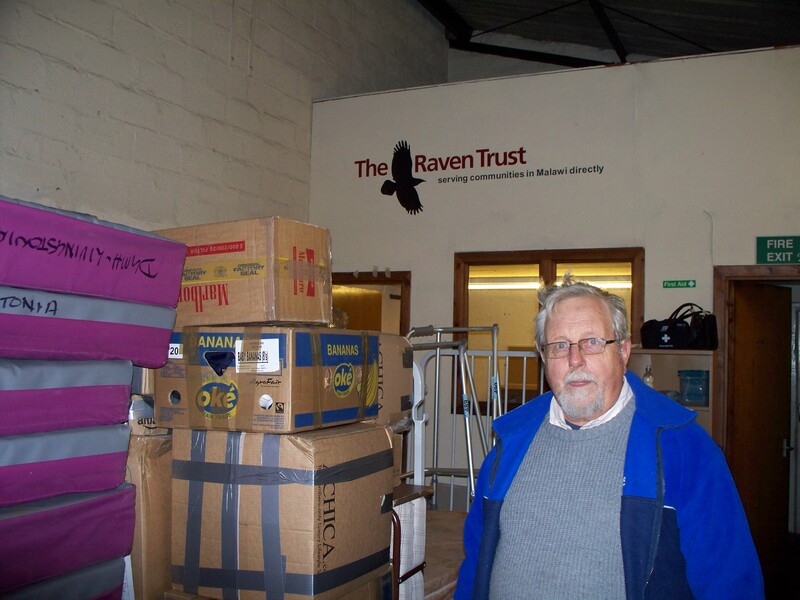 Goods have been arriving regularly and the team have been very busy. Goods arriving in plastic bags have to be repacked for the journey so it would be of great help if those sending goods could make sure that they pack them tightly in strong cardboard boxes (banana boxes are best) marked clearly with destination , recipient and contact details for recipient as this saves the time of the volunteers and David reports that they have run out of boxes!